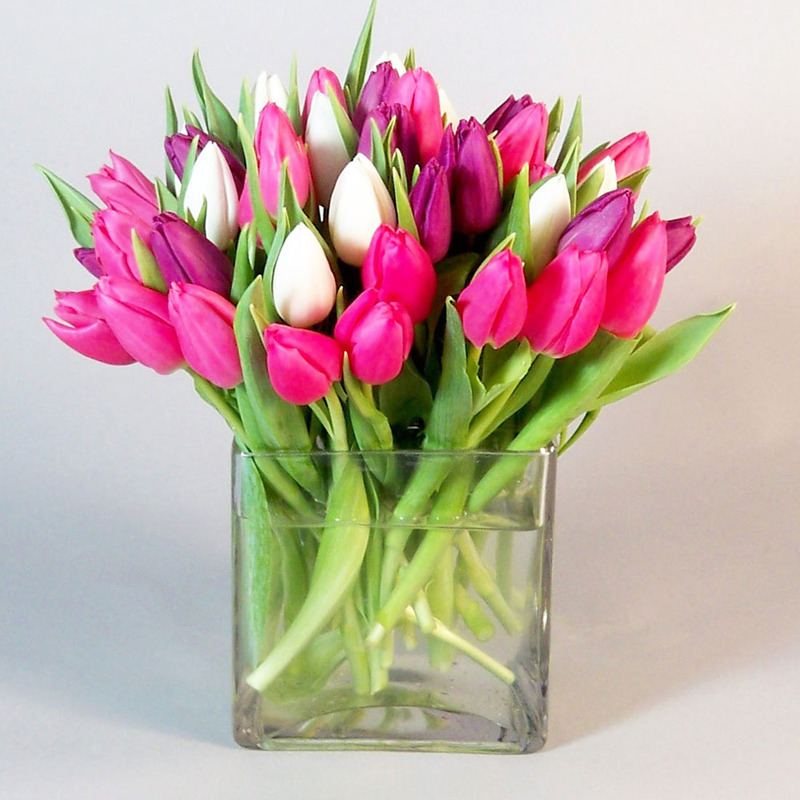 A slightly different color mix than it's sister, totally tulips. We have 40 stems of purple. hot pink and purple all nicely designed in a 5 inch glass cube. Remember that you can create your own color combo by placing order over the phone.